← Just Superman and GO! Before you start scrutinizing me for asking such a blasphemous question, just hear me out on this. The reason I ask whether or not Eli Manning could actually be better than his brother Peyton is because Eli is just a few days away from possibly accomplishing something that not even his star sibling has been able to do. Eli Manning could walk away with a 2nd Super Bowl victory. In a league where greatness is determined by the amount of rings on your fingers, a 2nd win on the grandest stage of them all would certainly elevate Eli Manning to greater heights. But would one more Super Bowl victory make Eli Manning a better quarterback than Peyton? 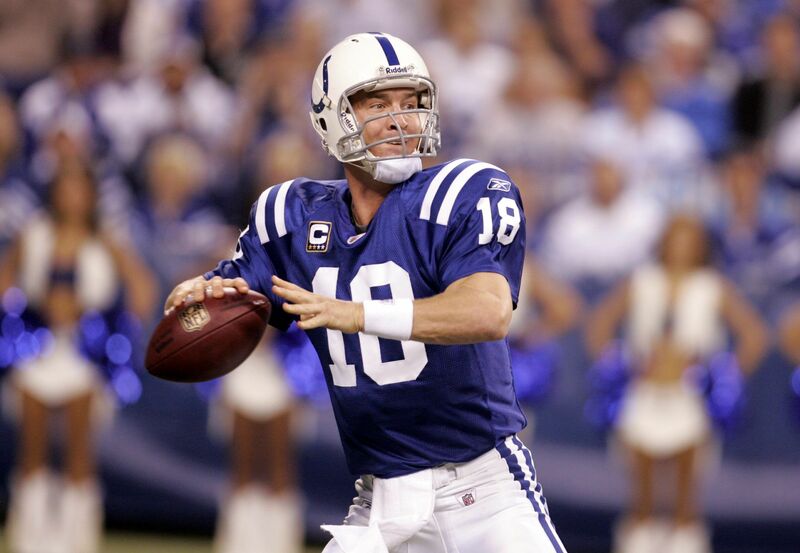 Peyton Manning is one of the greatest quarterbacks in the history of the NFL. Some people seem to forget how amazing a player Manning is because he missed this past season due to a neck injury. He is an 11x Pro Bowler, 4x MVP, a Super Bowl champion as well as an MVP of the big game. He will definitely be a first-ballot hall of famer when he calls it quits. To even ask this question 2 or 3 years ago would have been considered an act of stupidity and sheer ignorance. No one in their right mind would have said Eli Manning was a better quarterback than Peyton Manning. Peyton will go down in history as one of the best to ever play the quarterback position. Eli is still trying to make a legacy for himself in the National Football League. 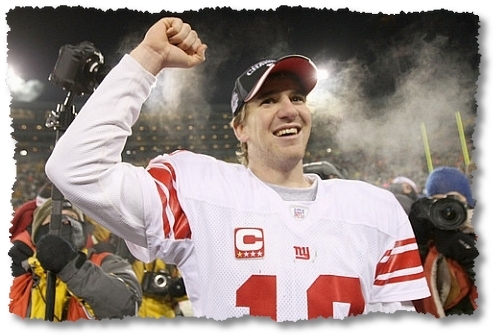 But if Eli Manning and the New York Giants win the Super Bowl this Sunday, then Eli’s legacy will be cemented. Only 10 other quarterbacks in NFL history (Starr, Griese, Staubach, Plunkett, Elway, Roethlisberger, Aikman, Brady, Bradshaw, Montana) have won 2 or more Super Bowls. Of those 10 quarterbacks, 7 are currently enshrined in the pro football hall of fame. Tom Brady and Ben Roethlisberger will surely be voted in once their careers come to an end. The only player not voted in is Jim Plunkett, who deserves to have his own spot in Canton. The odds would be greatly in favor of Eli making the hall of fame if he were to defeat the Patriots this Sunday. But with a potential 2nd ring on the way, could that be enough to push Eli over his brother? In this writers opinion……Eli is getting awfully close. This entry was posted in NFL and tagged Eli Manning, Football, Giants vs Patriots, Indianapolis Colts, Manning Brothers, New York Giants, NFL, Peyton Manning, Sports, Super Bowl, Tom Brady. Bookmark the permalink. 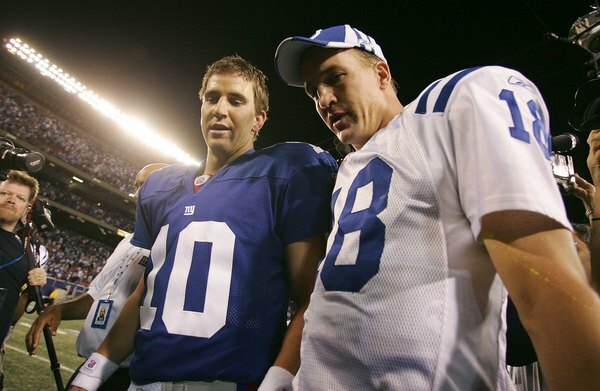 1 Response to Could Eli truly end up being the better Manning? Winning on Sunday would clearly help Eli in this debate. Having a few more successful seasons after Sunday would put the issue at rest once and for all.